Yay for Home! : We play! And here is where we do it. We play! And here is where we do it. I don't know about you but I love getting a glimpse into other people's houses and set-ups. 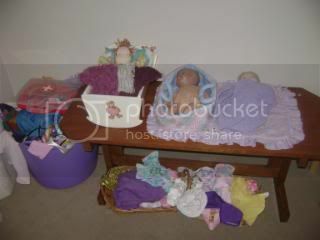 Here is a look into the play space at our house. I also love showing off all the great gear you can get second hand! These photos are if you are looking around the room clockwise. Farmhouse on op-shopped coffee table with collection of wooden blocks underneath. 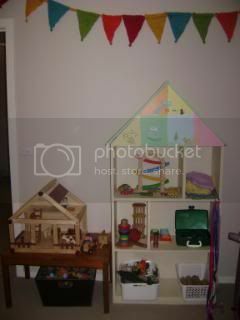 Bookcase with baby toys, plastic animals, train set, play cloths, matchbox cars and assorted bits and pieces. 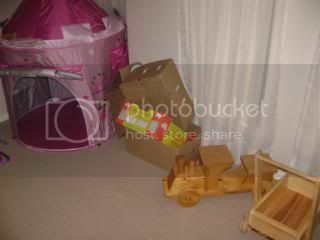 pop up cubby house, cardboard boxes (these are used for all sorts of play! ), op-shopped wooden ride on train and push trolley. Kitchen corner. 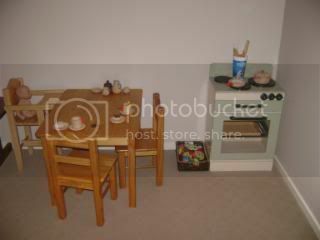 Table and chairs(op-shop), oven(eBay) with a heap of cotton, wooden and felt food and a wooden tea and cooking set. I'd love to check out some other play spaces. Hint hint. 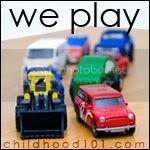 To check out other great play ideas head over to Childhood 101 We play HERE. To show you our play spaces I would be showing you my very messy lounge room and play area floors. I think there is a bus ride happeneing in the play area at the moment as about twenty teddies are sitting huddled together in a very organized way, but I was having trouble staying awake and alert yesterday, so I am not really sure what is going on! Looks like you have managed to pick up some great buys at the op shop! It's Princess' new favourite shop too! I'm trying to get our playspace organised, trying being the operative word. Thans for showing yours. 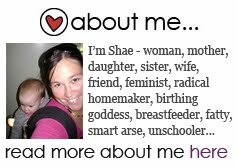 Nice to see an aussie unschooling blog too. We have been getting into more of an unschooling groove ourselves of late. I love all the natural wooden toys, instead of the usual brightly coloured plastic. I must remember that when gathering for our own toy collection. Sometimes I get caught up in all the hype of toy sales. An app is keeping me organized! We play! Homemade play dough.